Heroes of Might and Magic V is a turn-based strategy video game fully rendered in 3D and the game art features classic fantasy creatures in an epic world setting. The story arc is covered in the original Heroes of Might and Magic V game and two expansions, Hammers of Fate and Tribes of the East. A significant sidestory is explored in greater detail in the first-person fantasy role-playing video game Dark Messiah of Might and Magic. 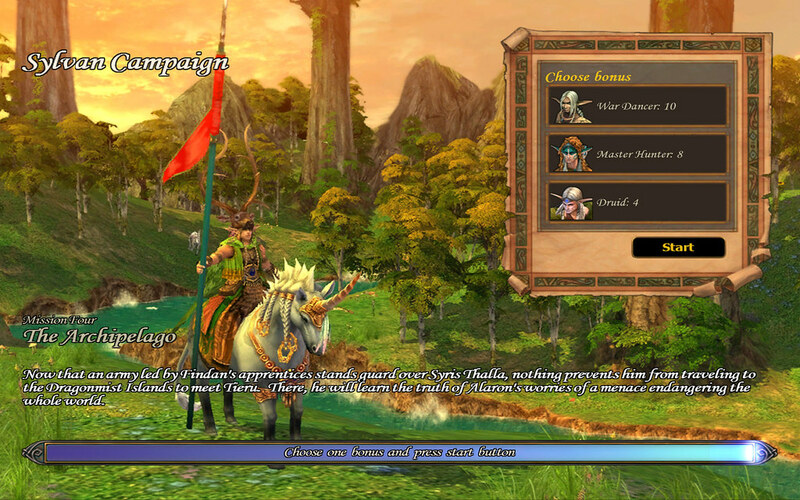 This page has fantasy art, game scenes, cutscenes, and gameplay movies from the Heroes of Might and Magic V Original Campaign - campaign 5 "The Ranger" mission 4. There is no mission briefing video. The first cutscene actually refers to an optional mission to locate a number of artifacts, in turn a reward for fully exploring this map.